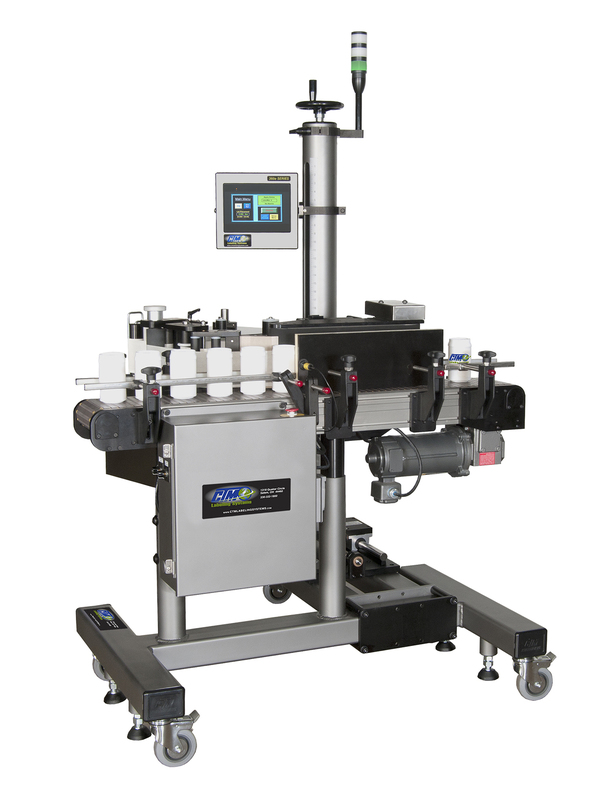 For the cost conscious, low volume or entry level partners the CTM 360a WR wrap labeling system provides the ideal way for high quality round product labeling. 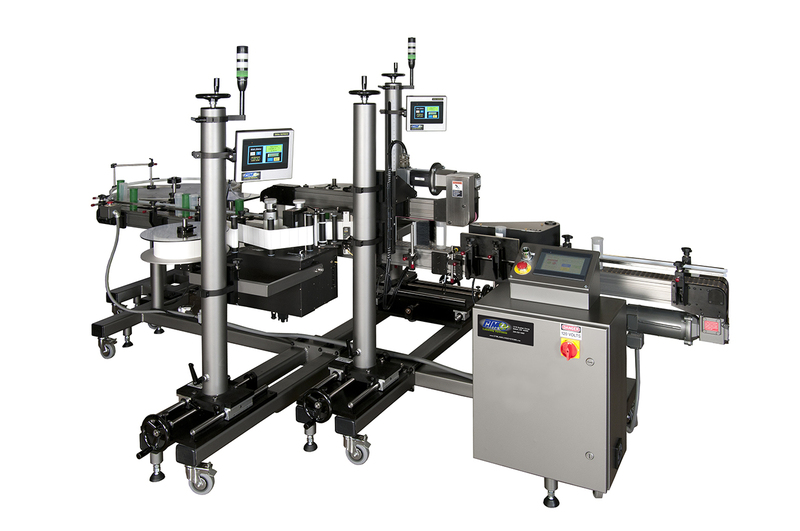 It uses CTM’s advanced 360a merge applicator with remote HMI operator touch screen color display. The 360a is available in the 5″ wide and 7-1/2″ wide versions accommodating nearly all applications. 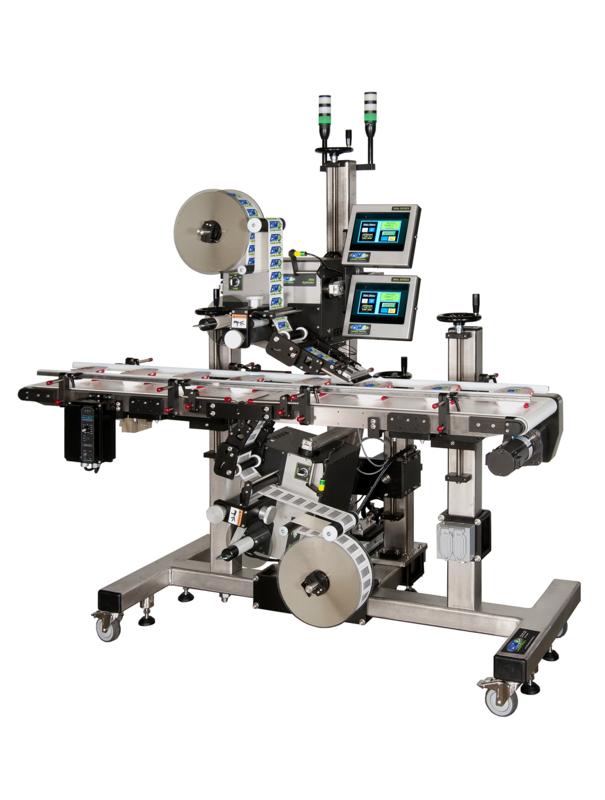 For multiple labels the 360a has 48 label format storage for operator selection- no need to re-calibrate the same labels. 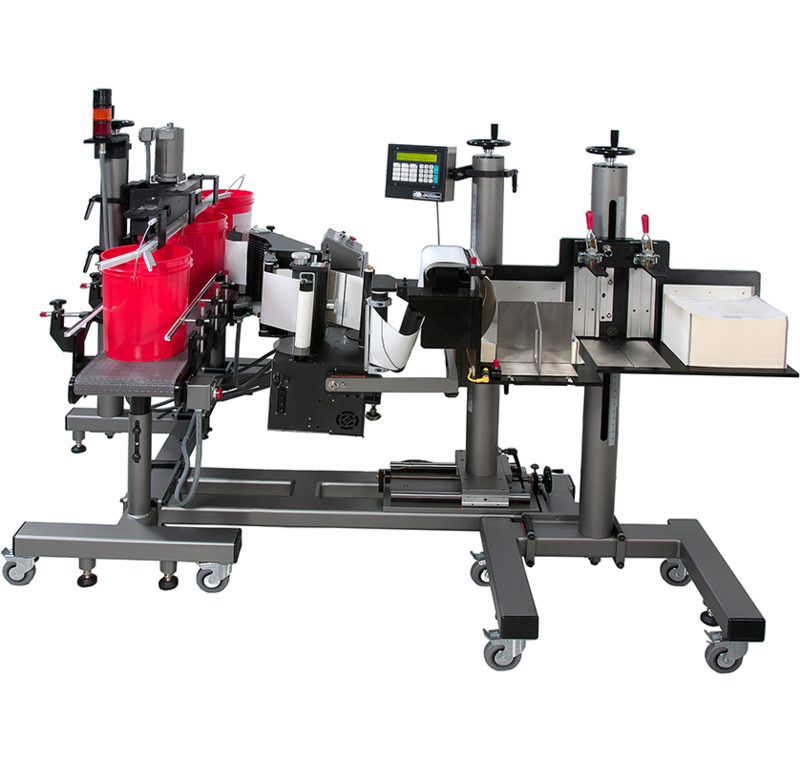 Compact and complete the unit measures a 4′ x 4′ square footprint with the 6″ wide x 4 ft. long conveyor, wrap belt assembly and ball bushing traverse for the labeler. 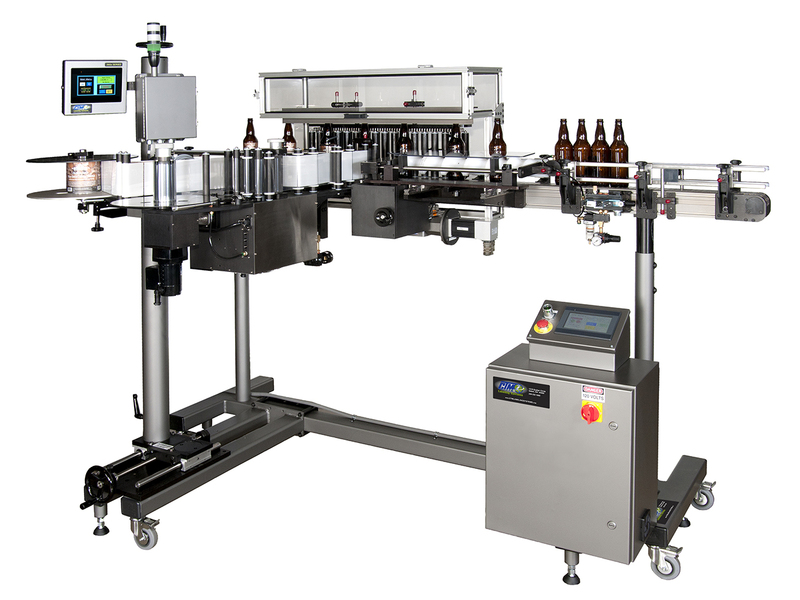 Independent speed adjustments allow set ups for various product and label sizes and cycle rates. The 360a WR system is provided only as a “build and ship” system for economy. 108-132 Volts AC, 50/60 Hertz, Single Phase, 7 Amps.